Many AAC users are now being included in the regular education setting with non-disabled peers in an effort to increase inclusion. This dynamic creates increased opportunities for these students to engage with peers and learn critical social skills and behaviors. It also allows children who are non-disabled to understand their peers with disabilities. However, simply placing students in the same classroom environment does not necessarily mean increased acceptance or interactions with peers. These interactions can be especially difficult for AAC users, as their interaction patterns differ from those students who do not use AAC. This month’s article explores the influence of being provided information about communicating with an AAC user, as well as role-playing being nonspeaking, on peer to peer interactions between AAC users and non-AAC users. 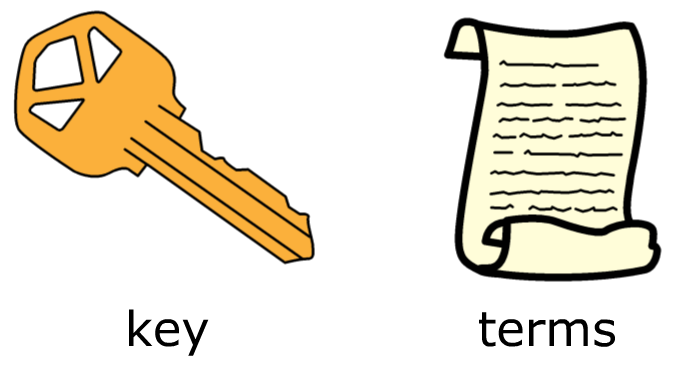 As always, I will start by explaining some key terms. I will then share the research question and why this information is vital to know. I will follow that with the author’s conclusions and some important takeaways so that we can apply this research to our AAC learners. Let’s get started! The question asked in this article is: Are information sessions to teach about AAC along with role-playing opportunities more effective in increasing children’s attitudes toward peers who use AAC than information sessions alone? Do grade level and gender play a role in children’s attitudes toward their peers who use AAC given education and/or role-playing experiences? Let’s explore what this research means to us! Many children who have a severe speech and language deficit use augmentative and alternative communication (AAC). AAC users typically have less opportunities to communicate than natural communicators (Light, 1988). These communicators also take more of a respondent role and engage more frequently with adults than peers. The presence of a communication disorder can put children at risk for not being fully accepted by their peers. Augmented communication is typically slower in rate, less intelligible, and does not allow the user to easily engage in small talk. Inclusionary programs involving information sessions about AAC and severe speech and language impairments are therefore needed to improve positive attitudes of peers towards students with disabilities. Role-playing allows students to step into another person’s shoes and incorporates active learning techniques, which may be more effective than a more passive approach of providing information. Ninety-five children in grades 2, 4, and 6 participated in this program over the course of two school years. Information about AAC was provided to the students via a video by the American Speech-Language and Hearing Association (ASHA) called “Assistive Technology: We Can Do It!”. Students engaged in role-playing during a “Go Fish” game given a manual communication board. The students were instructed to only use the communication boards when playing the game. The children’s attitudes towards peers with disabilities were then measured using the Assessment of Attitudes Toward Augmentative and Alternative Communication (AATAAC; Beck, Fritz, et al., 2000). Students were either provided information only or were provided information and engaged in the role-playing game. 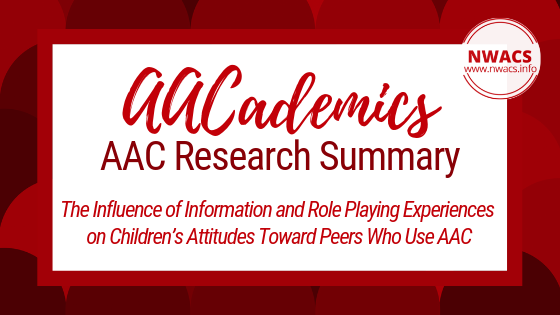 Results indicated that, in some cases, participating in the role-playing game during which students were not able to speak was more effective in increasing positive attitudes towards peers that use AAC than students who were only provided information about children who use AAC. Older students’ attitudes were more influenced by role-playing than the younger students. In addition, the attitudes of the boys were more positively influenced than the girls in the role-playing situation. Providing information to students, as well as providing role-playing opportunities, especially for older students can be an effective way to improve the attitudes of students towards their peers with disabilities. The students who participated in the role-playing activity made more comments in general and their comments were about the difficulty of the task (“It’s hard.” and “I can’t say what I want to say.”). These comments in addition to the results of the assessment indicated that these students may have developed more empathy for AAC users than the students who were provided information about AAC only. Further research is necessary to determine whether these improved attitudes toward AAC users would translate to their interactions with peers. Please comment with any thoughts or questions! Images include Boardmaker PCS. The Picture Communication Symbols ©1981–2018 by Mayer-Johnson LLC. All Rights Reserved Worldwide. Used with permission. Beck, A., Fritz, H., Keller, A., & Dennis, M. (2000). Attitudes of school-aged children toward their peers who use AAC. Augmentative and Alternative Communication, 16, 13–26. Light, J. (1988). Interaction involving individuals using augmentative and alternative communication: State of the art and future research directions. Augmentative and Alternative Communication, 4, 66–82.